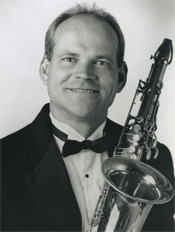 Saxophonist John Rekevics has appeared with popular performers such as Johnny Mathis, Marilyn McCoo, the Fifth Dimension and the Temptations. He has recorded nationally on the American Gramophone label and also with several local artists. Heard frequently on movie and television soundtracks, he is a regular performer at jazz clubs in San Diego. He has been on the SDSU faculty since 1990.